If you own a car then you definitely know that car repair is very expensive. The good news is that there are several repairs that you can do by yourself hence saving thousands of dollars that you could have otherwise spent on an auto repair shop. So are you looking credible DIY auto repair tips that you can trust? If yes then today you are in the right place. 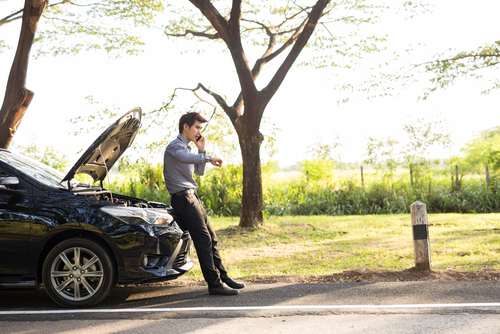 In this article, we are going to give you tips that will helps you repair your car without taking it to an auto repair shop. It is also important to note that in some cases, you will be forced to buy new parts in order to replace those that have worn out. In such case, you need to ensure that you buy the right spare part from an authorized dealer. The new spare part should be compatible with your car in order to function well. If you don’t know how to buy the right spare part to replace those that have worn out, it is recommended that you consult an expert to help you. Drive belt is the device (made from rubber) that connects pulleys on cars engines. This device is usually located beside the engine and helps to control accessories such as battery charging, cooling system, and power steering among many others. If you notice that your car always squeals when you use certain accessories or when you try to start the car, then the problem may lie on the drive belt. 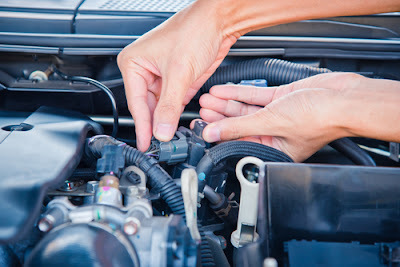 Conduct a thorough inspection specifically on the drive belt to see if it is on good conduction. If not, then it is prudent that you replace it with a new one. However, if the drive belt is lose, you can use relevant tools to tighten it up as opposed to replacing it. Important tools that you will need to tighten or replace the drive bet include wrenches, ratchet screw driver and sockets. If you notice that your car accessories are not powered on, then the reason lies on the car battery or alternator. The battery is the devise that supplies power to all accessories of the car including the alternator. On the other hand, the alternator is a device that works together with the battery to generate power that issued by all electrical parts of the car. If both the battery and the alternator are not working well then the entire electrical system of the car will be compromised. The good thing is that it is very easy to replace the battery or an alternator. All that you need to do is use a multimeter to measure both the battery or alternator to see is they are producing sufficient power. If you notice that one of them has failed then you need to replace it immediately. Important tools that you need include a screwdriver, multimeter and wrenches. Brake pad are very important because they are responsible to help the car stop. They usually apply frictional force hence forcing the car to stop. The fact that they apply frictional force means that they are bound to wear and tear. If you notice that your car produces a squeal sound every time you apply the brakes, then that is a clear sign that they need to be replaced. If the problem progress further, then you will start hearing a grinding sound which indicates that the rotor needs to be replaced. In that case then you will be forced to take your car to an auto repair shop. If the problem only lies on the brake pads, then that can be fixed easily at home. All that you need to do is to replace old brake pads with the new brake pads and you are good to go. Important tools that you will need to have include jack, tire iron c- clamp and ratchets. Spark plugs need to be replaced after every 30,000 miles. However, you need to check your cars manual to see what the manufacture has recommended. Replacing spark plug is not complicated the way many people think. In fact, it is a very simple process that will take little of your time. Depending on engine type, your car can have four, six or either spark plugs. You need to remove old spark plugs first using spark plug socket then install new spark plugs. Ensure that they are well tightened using a screwdriver. Important tools that you need include socket wrench and spark plug socket. 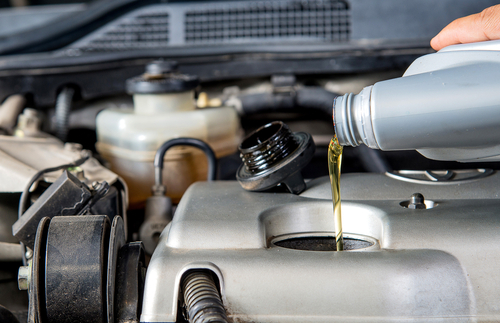 In order for your car to operate smoothly the radiator as well as the cooling system needs to be clean. However, due to constant use, they are bound to wear and tear which can cause buildup of deposit that can disrupt the normal functioning of the cooling system. The good news is that this problem can quickly be solved by use of a radiator flush to keep the cooling system in good shape. Experts recommend that you need to flush the radiator on a yearly basis. Fuel filter plays a vital role of filtering anything including particles that find their way into the fuel line before it goes into the engine. Most people fear replacing fuel filter because of the danger that they pose. However, if correct procedure is followed, replacement process will take less than 20 minutes to complete. However you need to take extra precaution to prevent accidents that can be fatal. In conclusion, as discussed above, there are many repairs that you can do without the need of taking your car to an auto repair shop. The above car repair tips will take a very short period of time to fix the problem and will greatly enhance the functionality and safety of the car. It will also save you a lot of money.